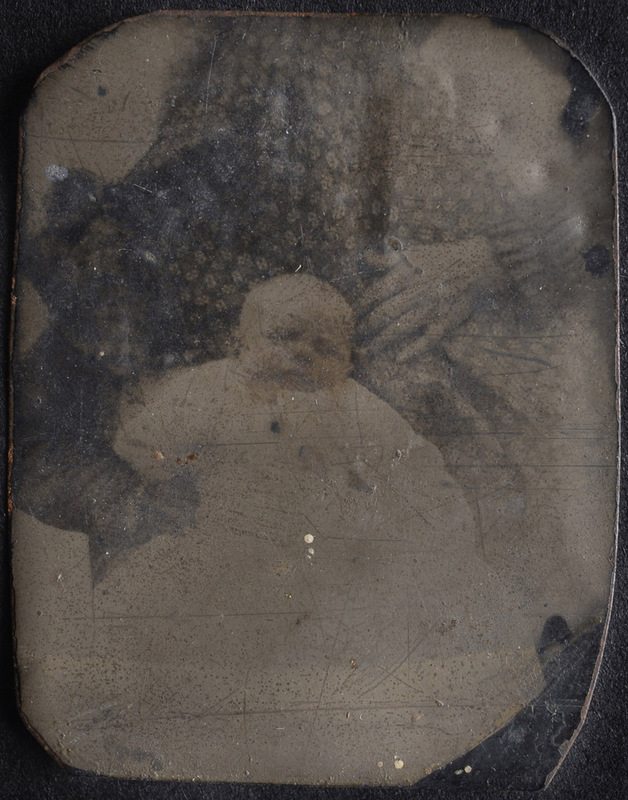 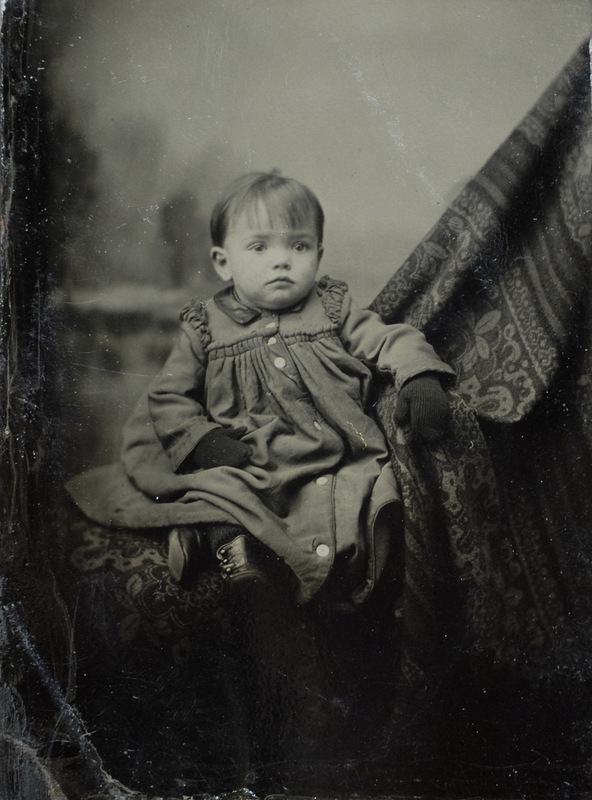 Some years back, tintype collectors began peeling away the paper frames that vignetted their photographs, and discovered something surprising. 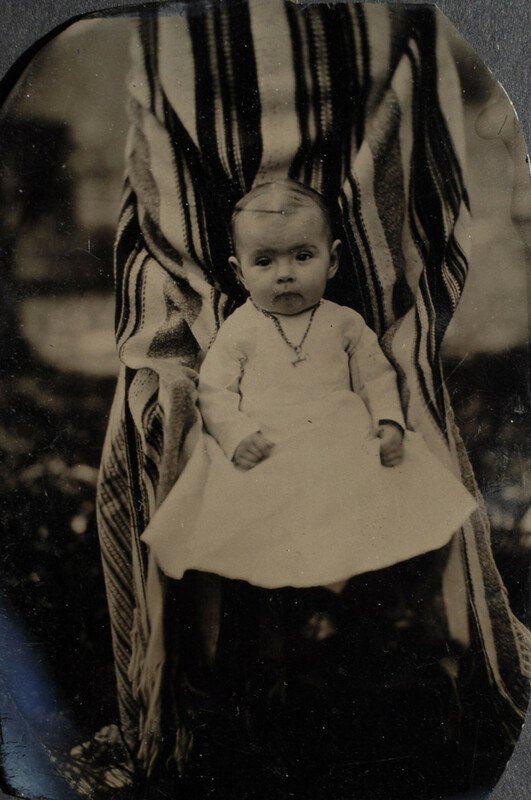 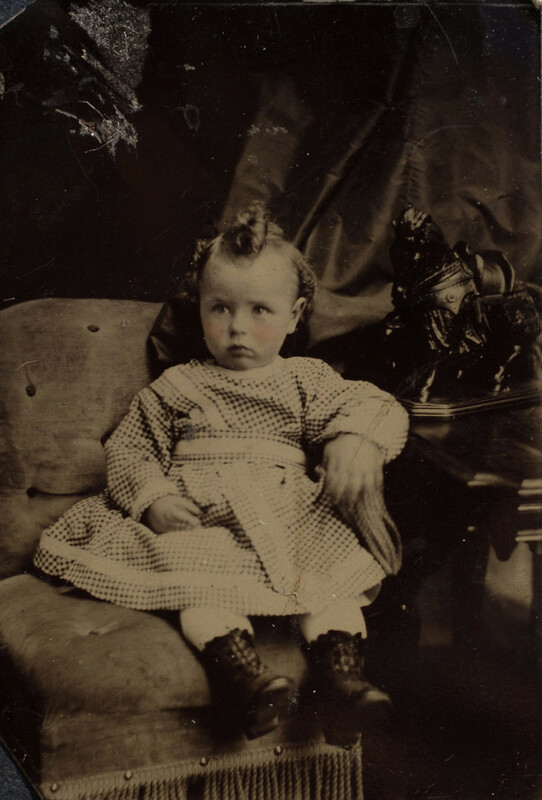 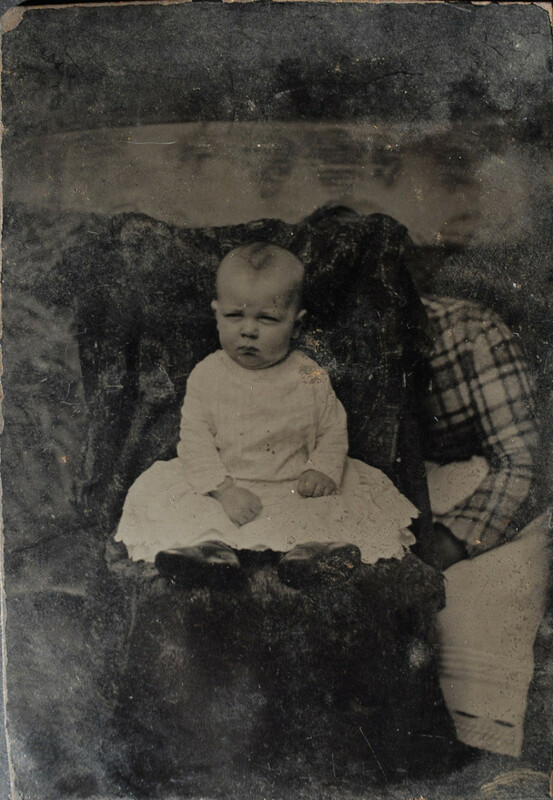 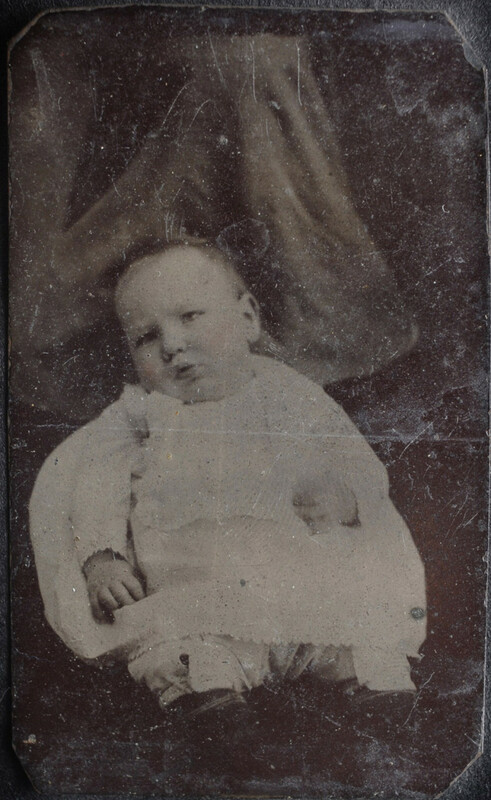 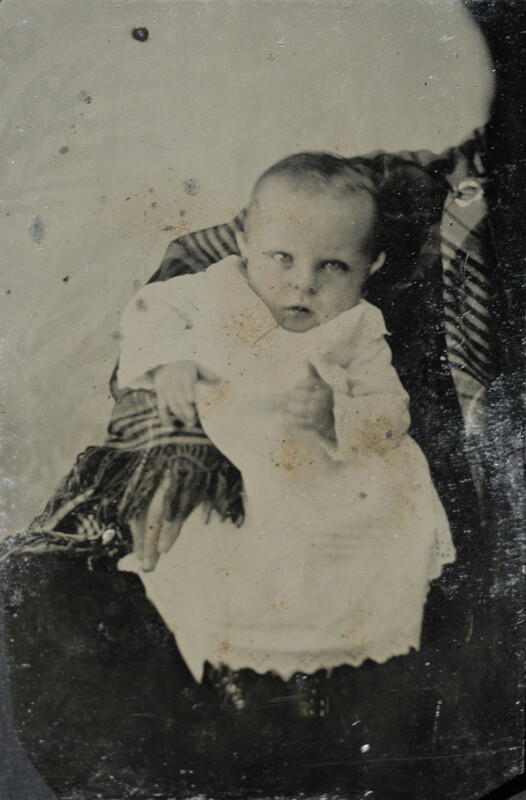 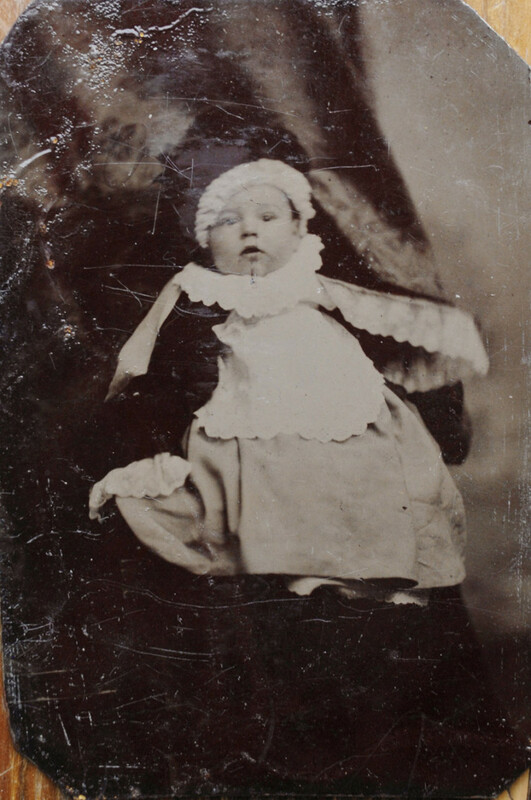 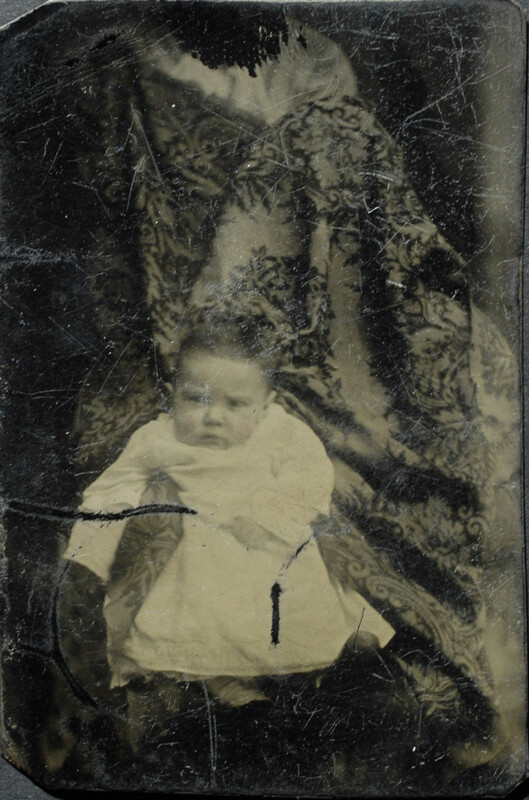 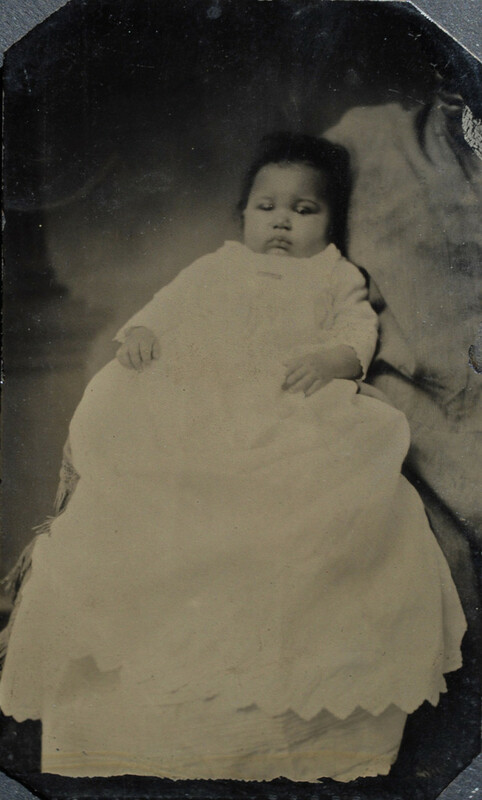 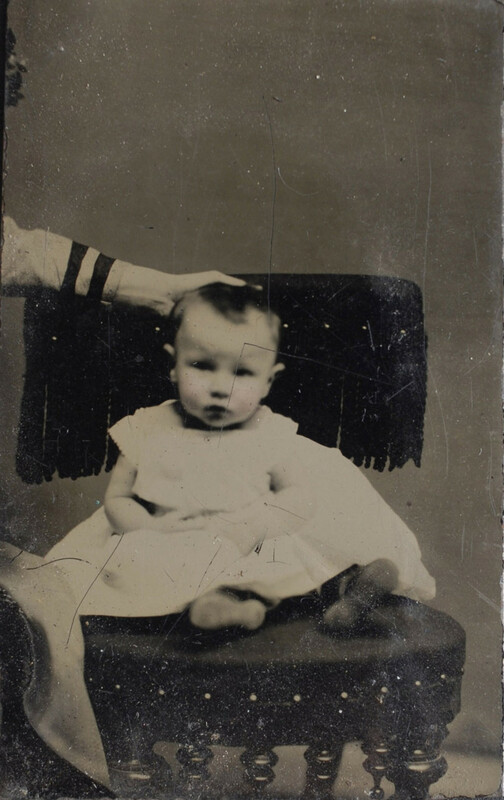 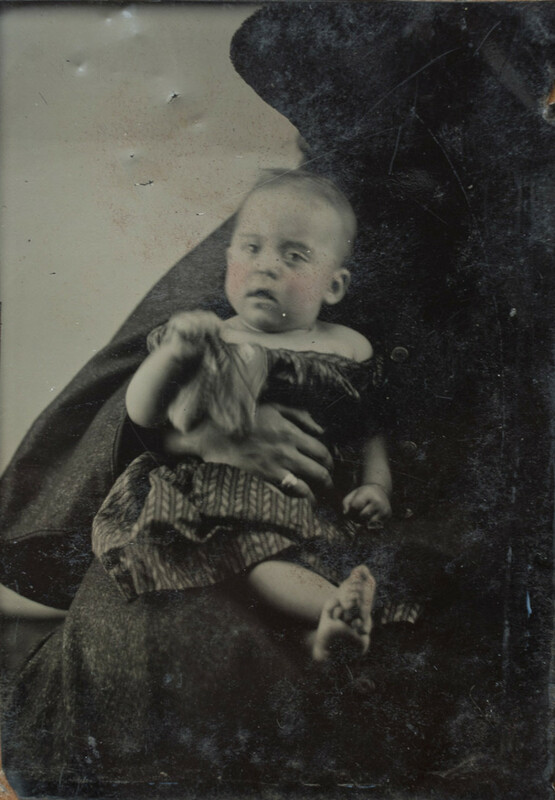 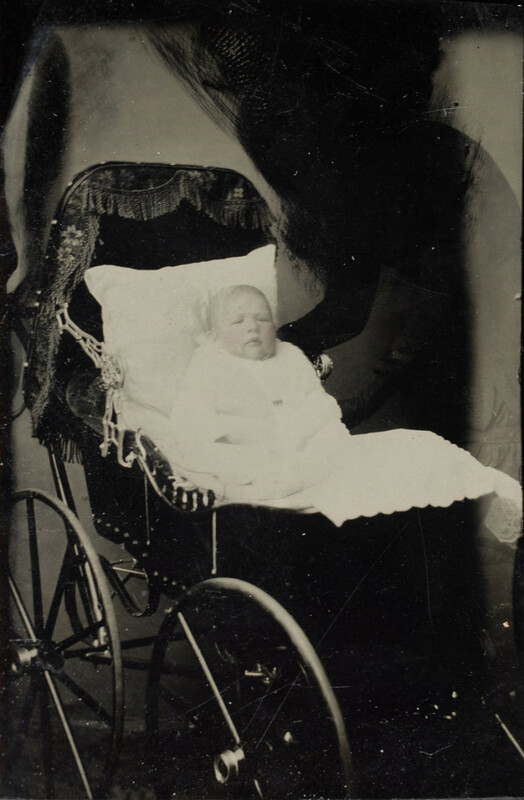 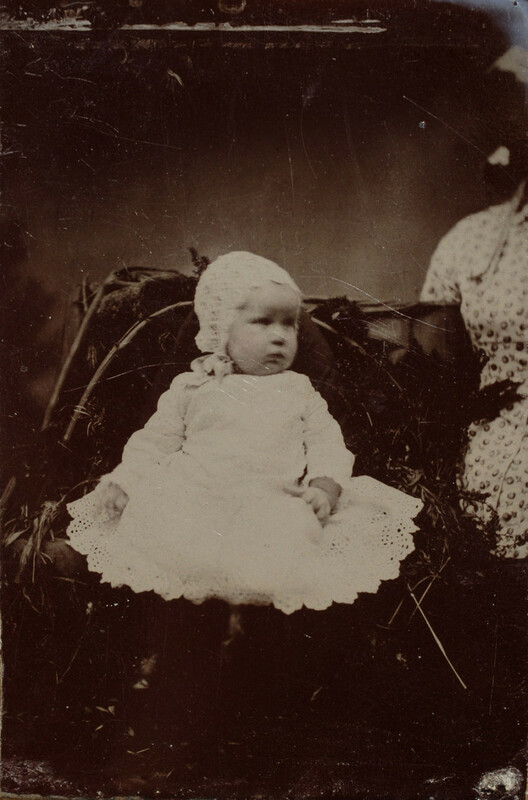 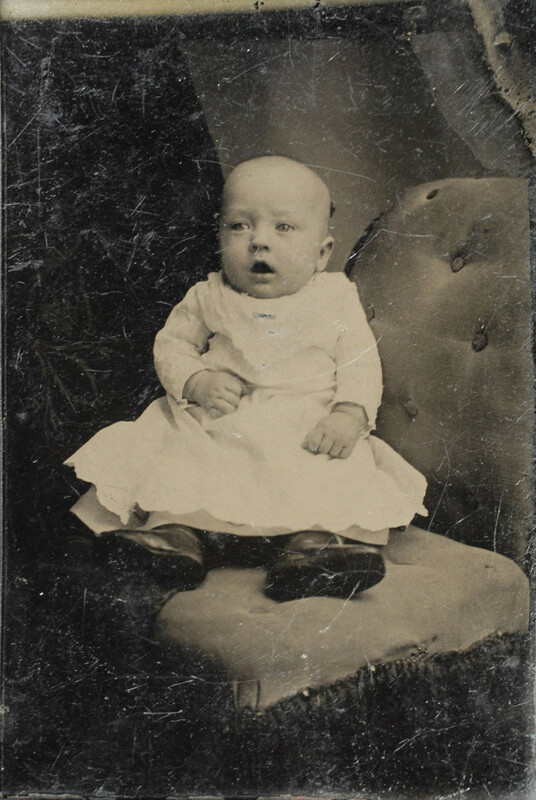 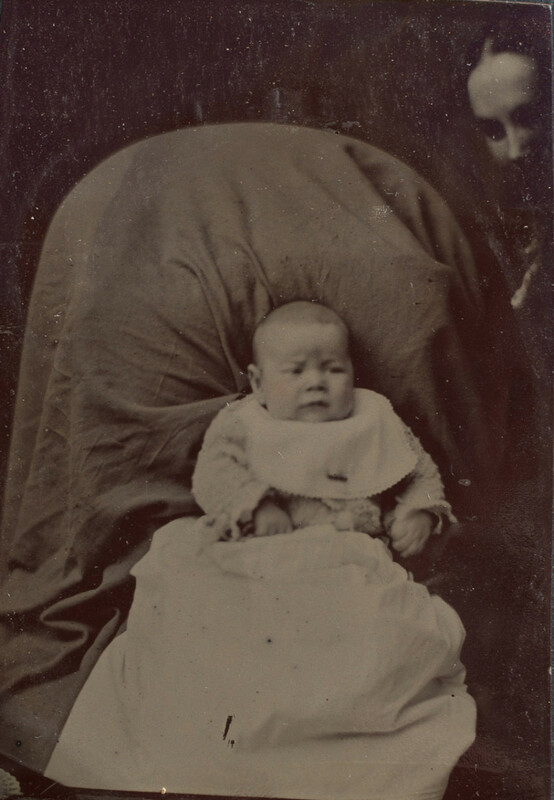 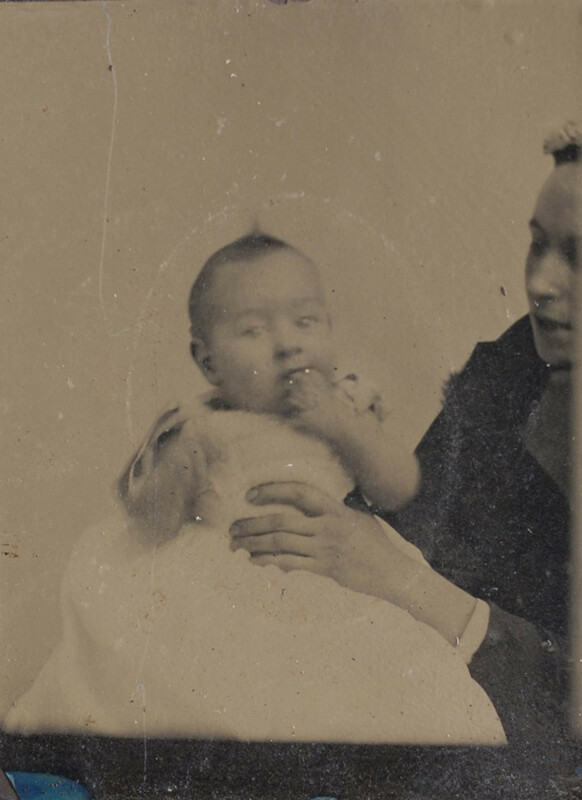 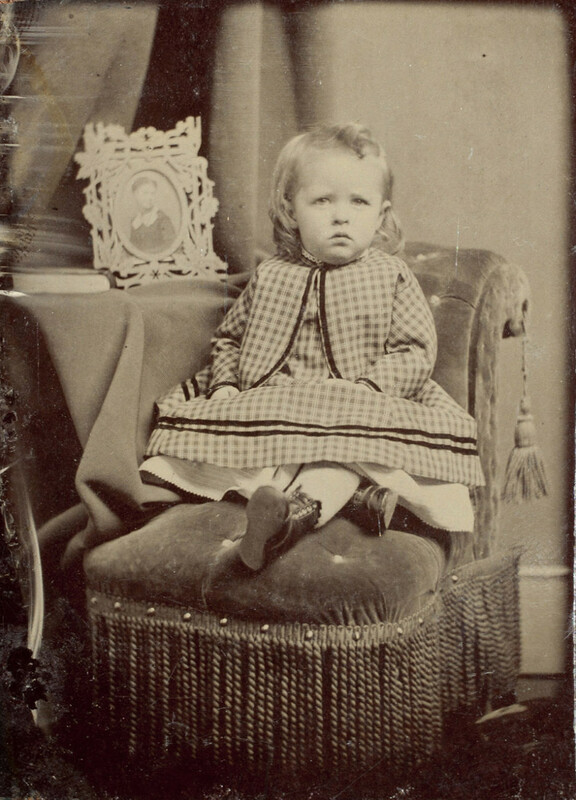 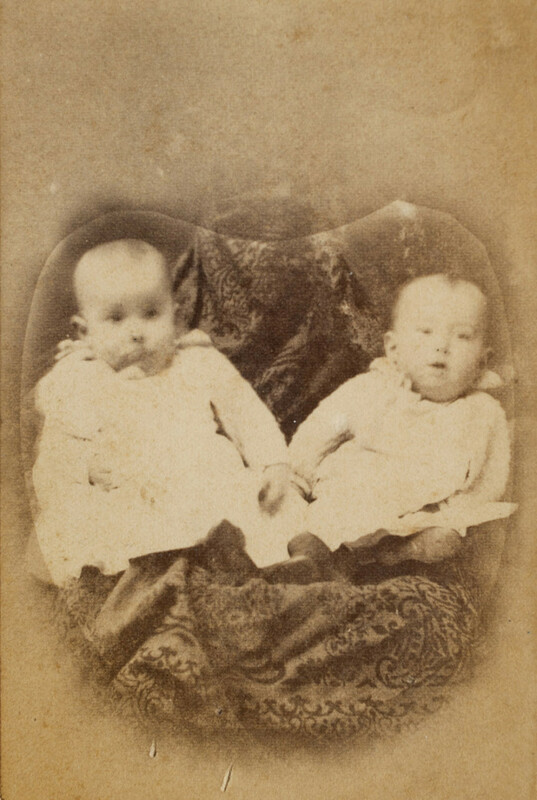 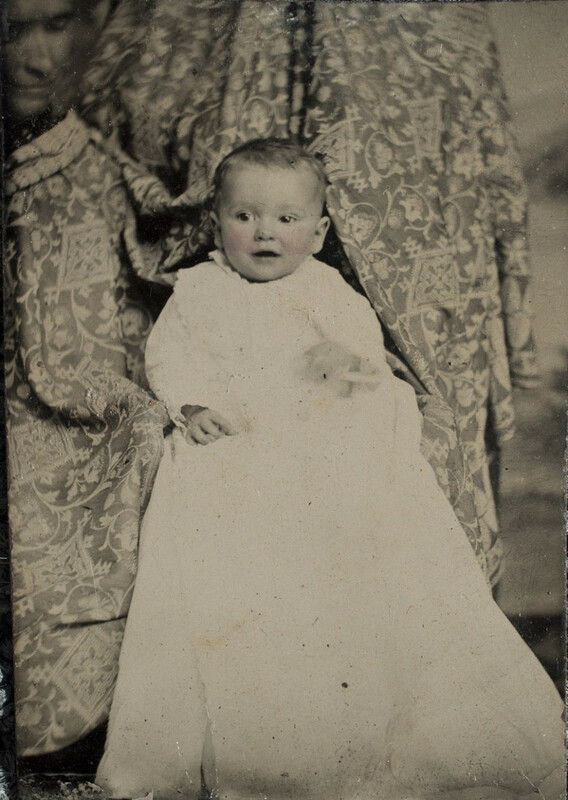 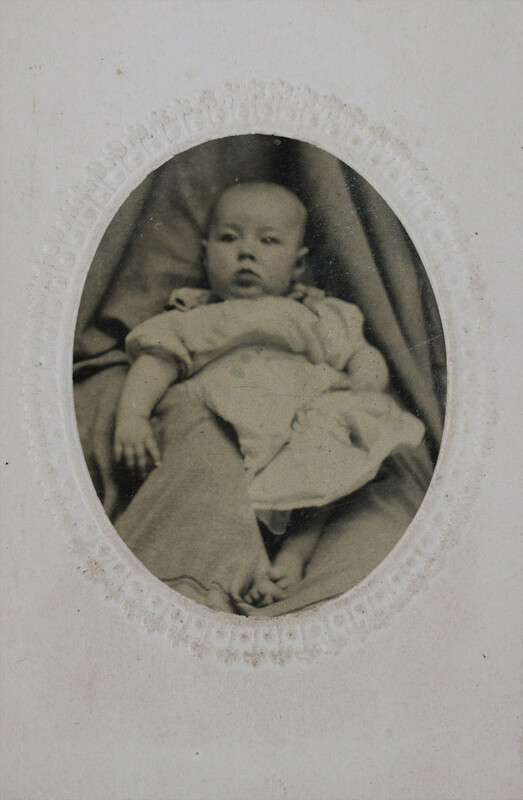 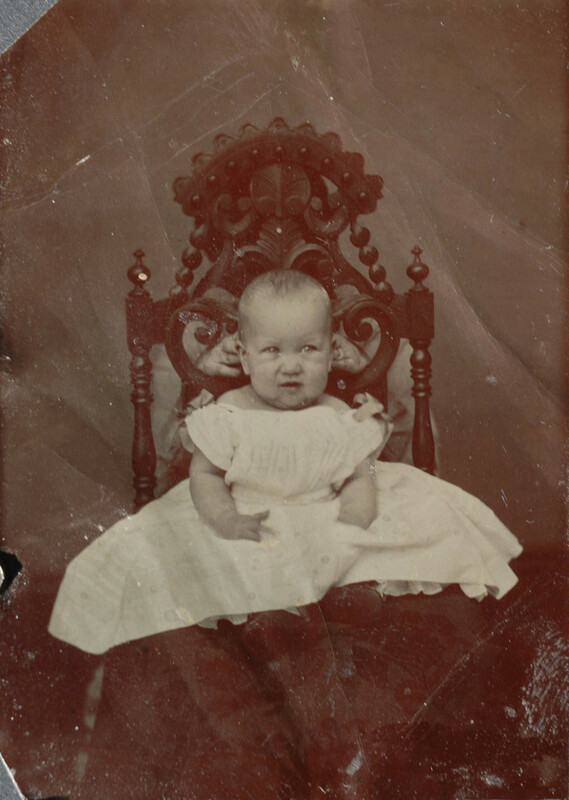 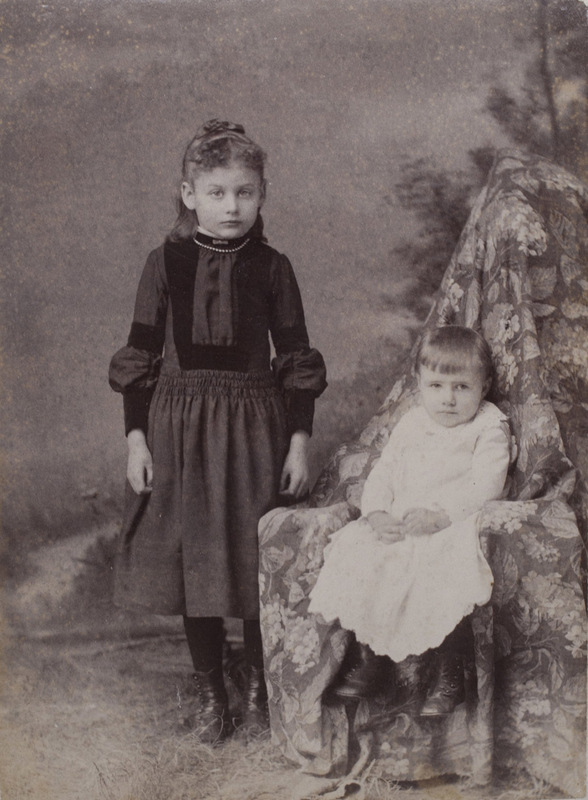 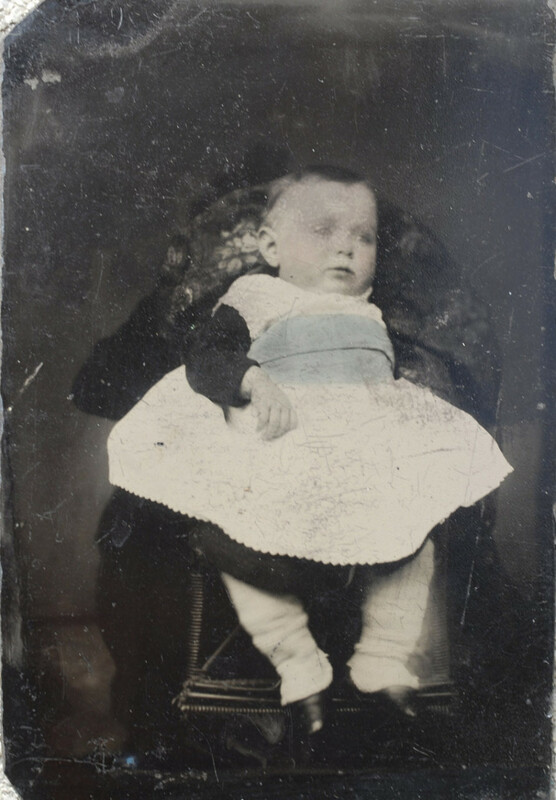 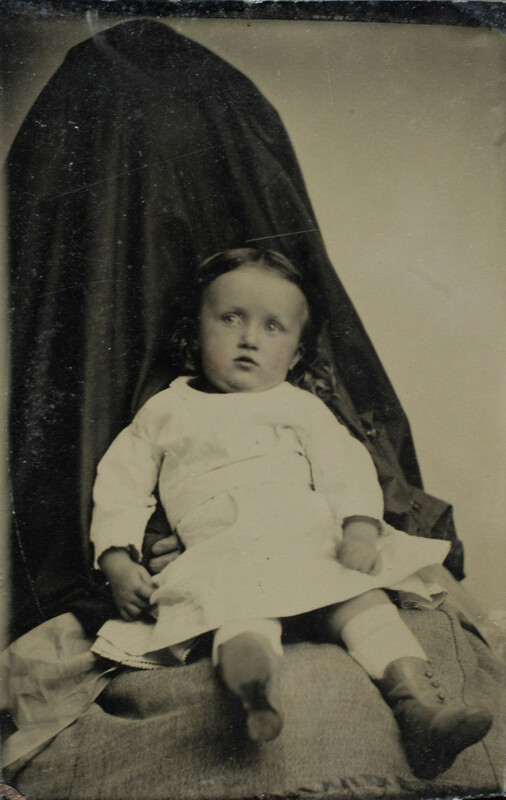 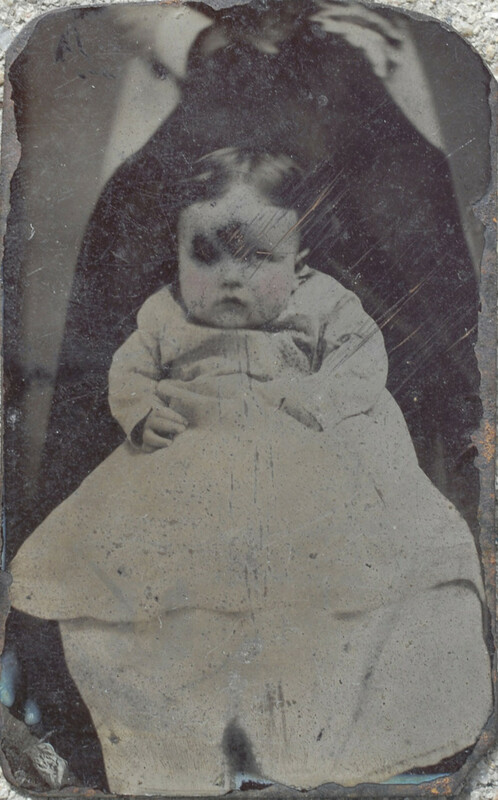 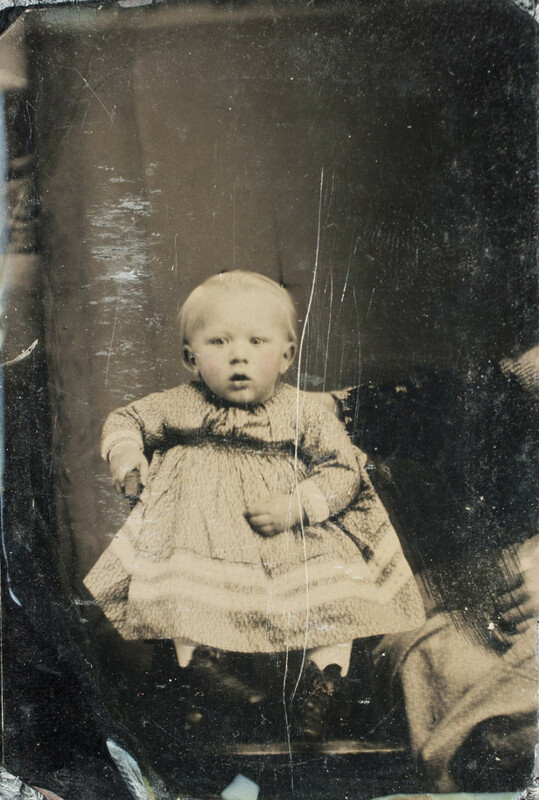 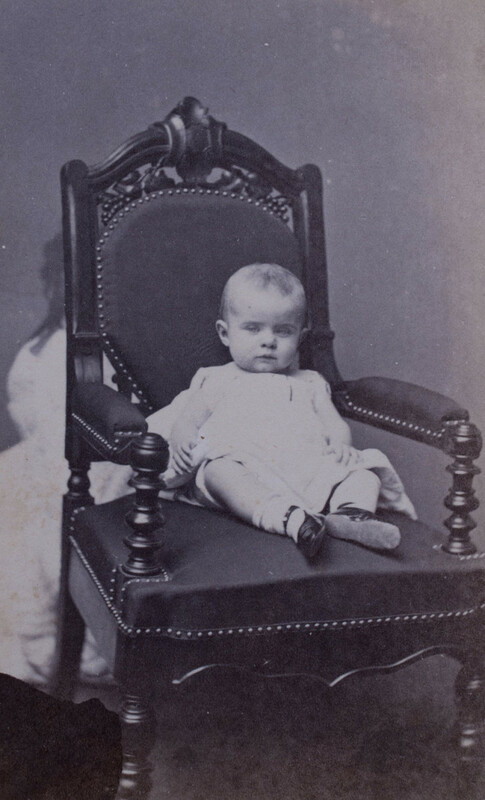 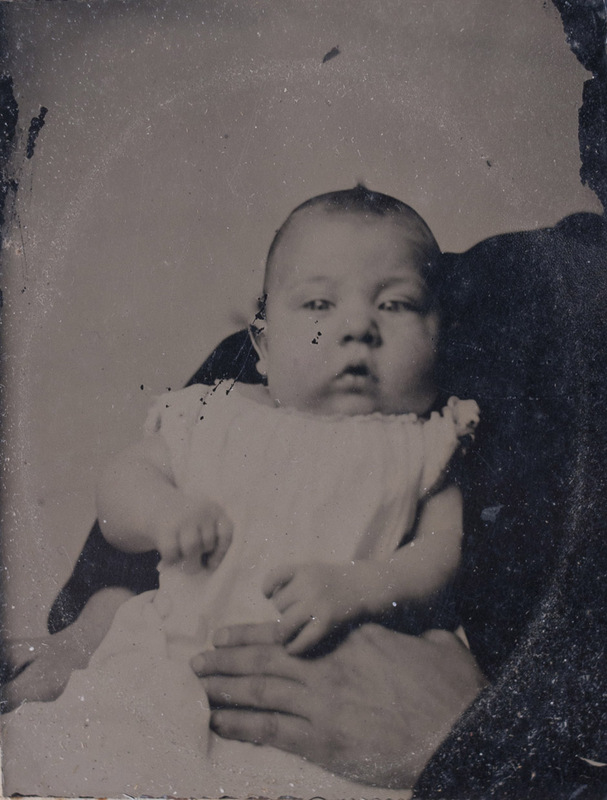 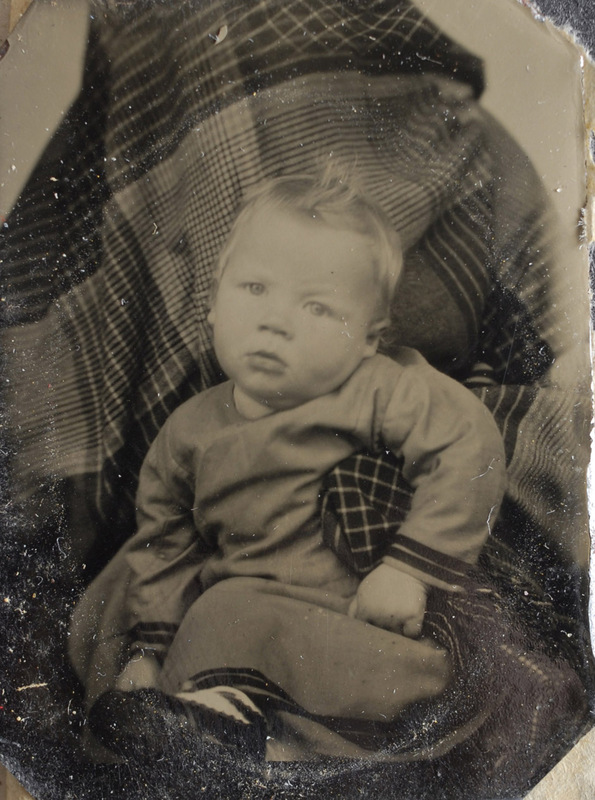 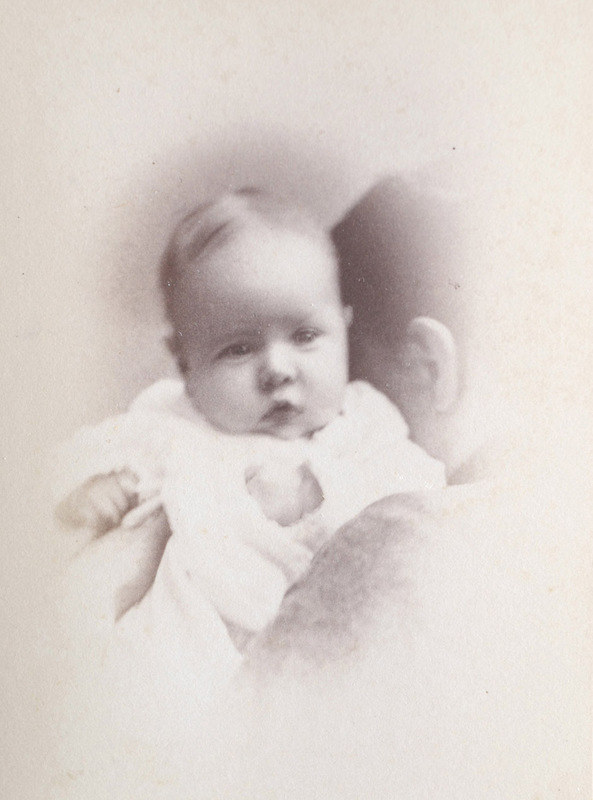 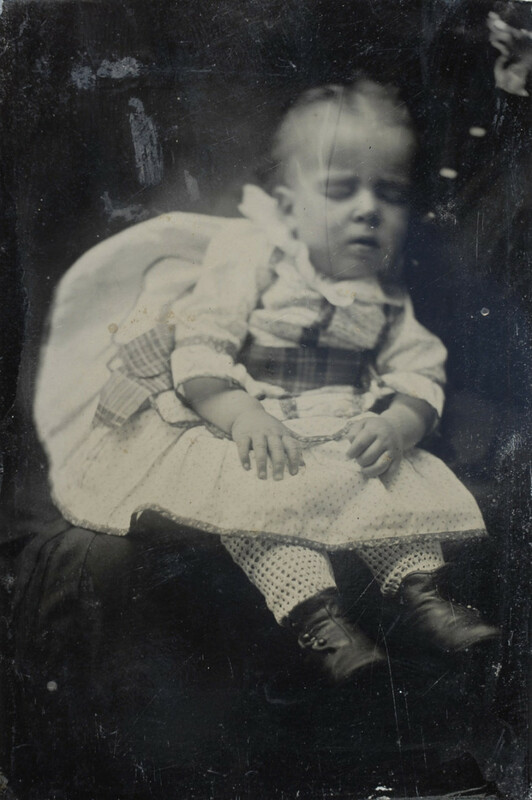 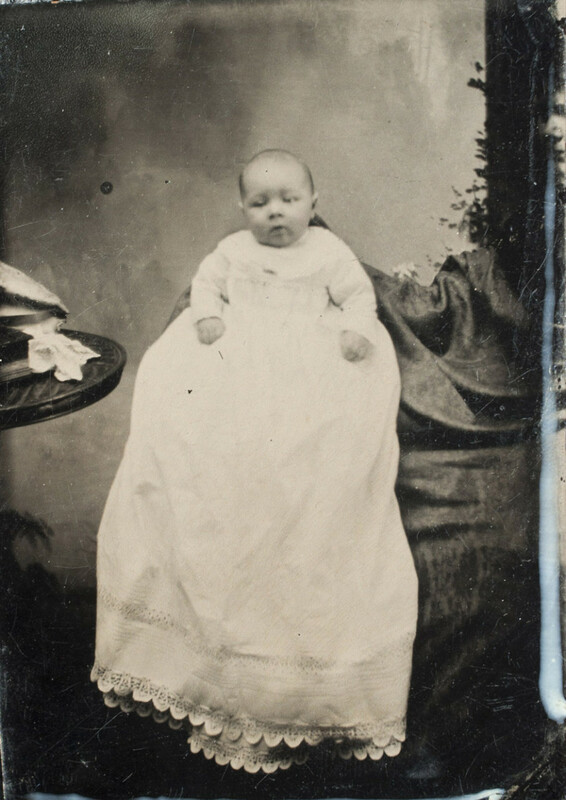 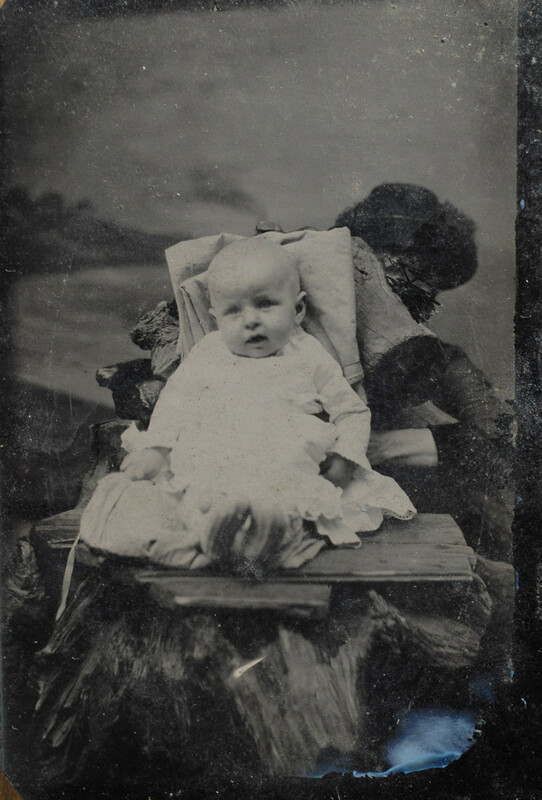 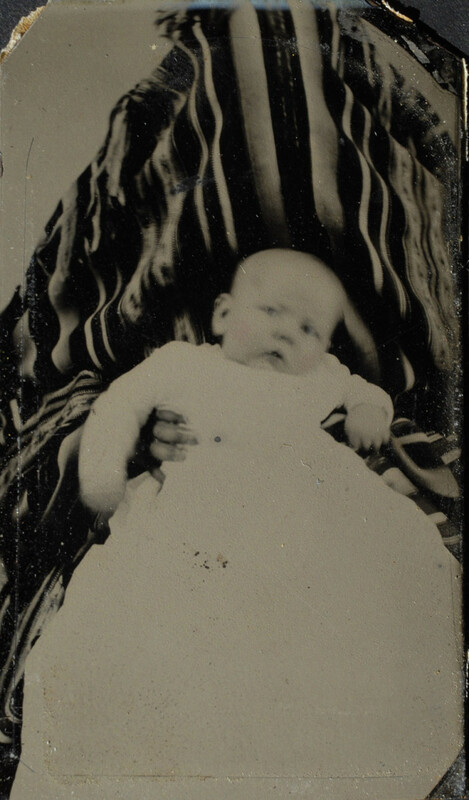 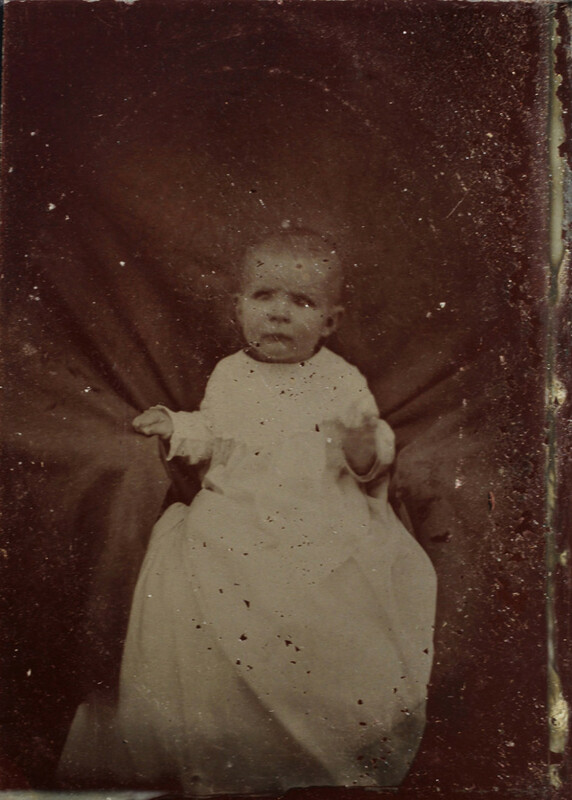 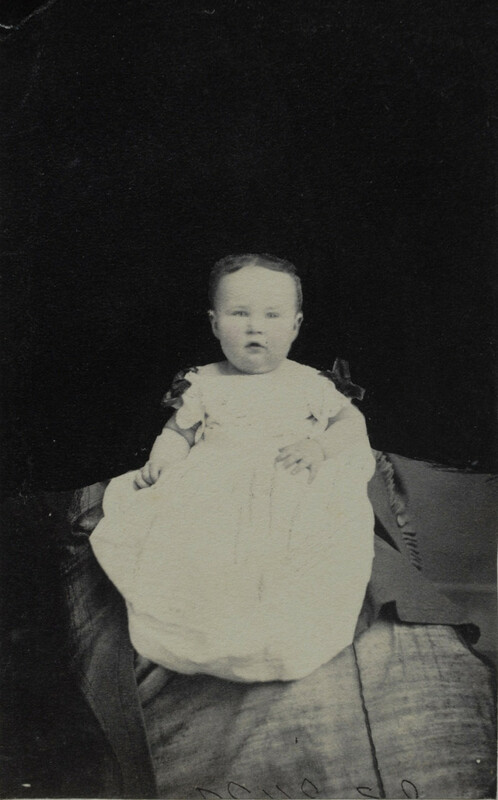 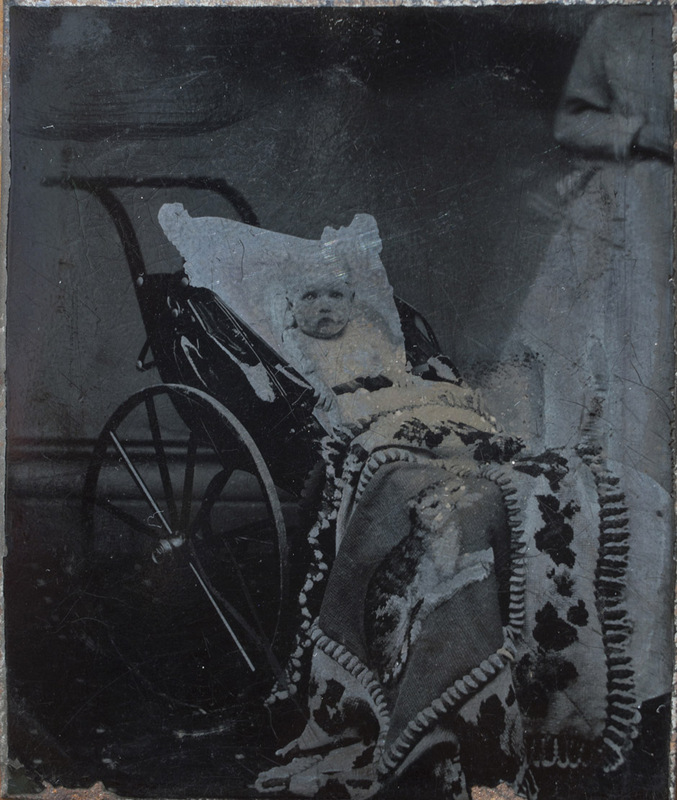 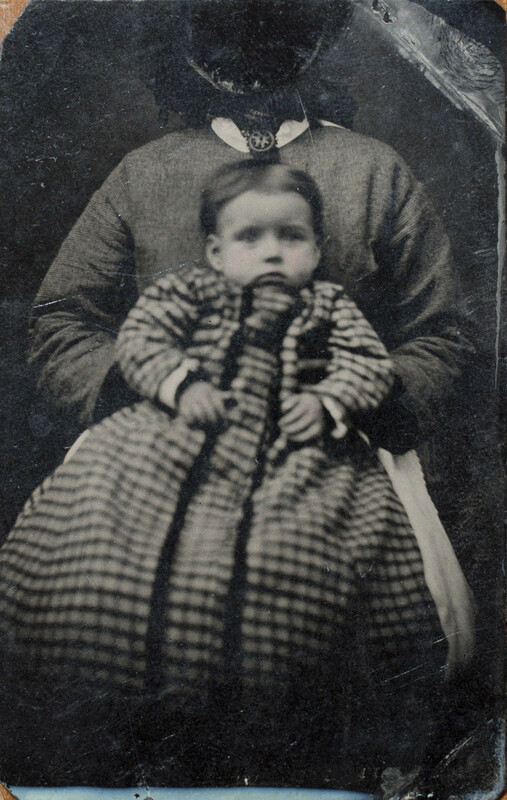 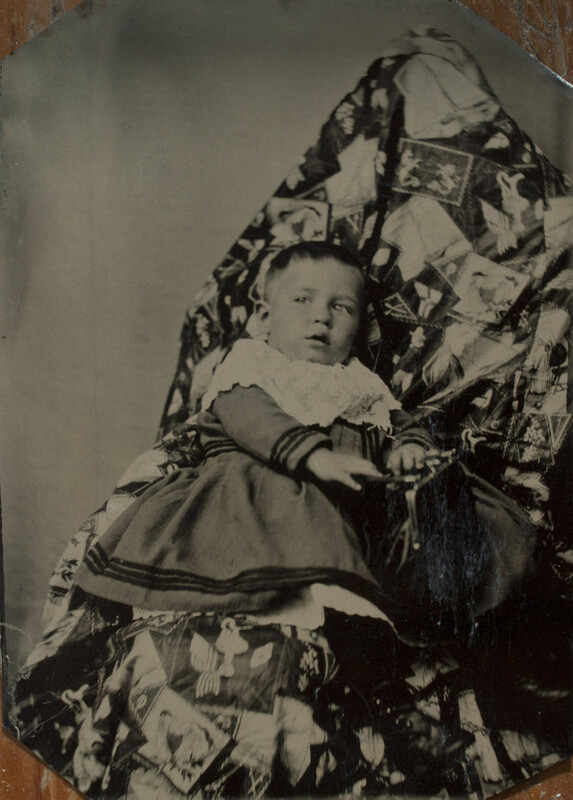 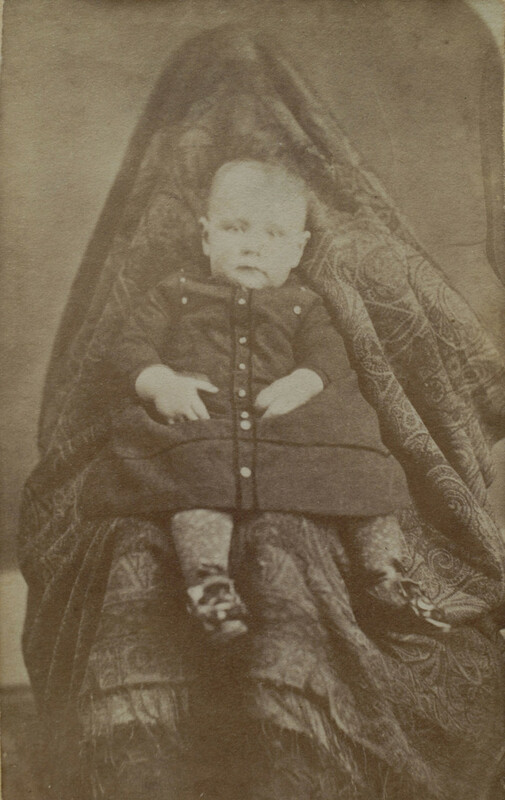 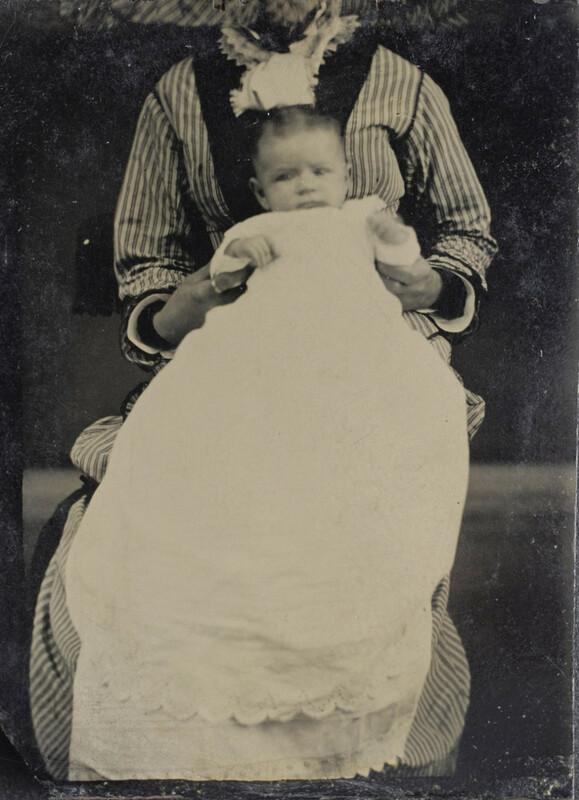 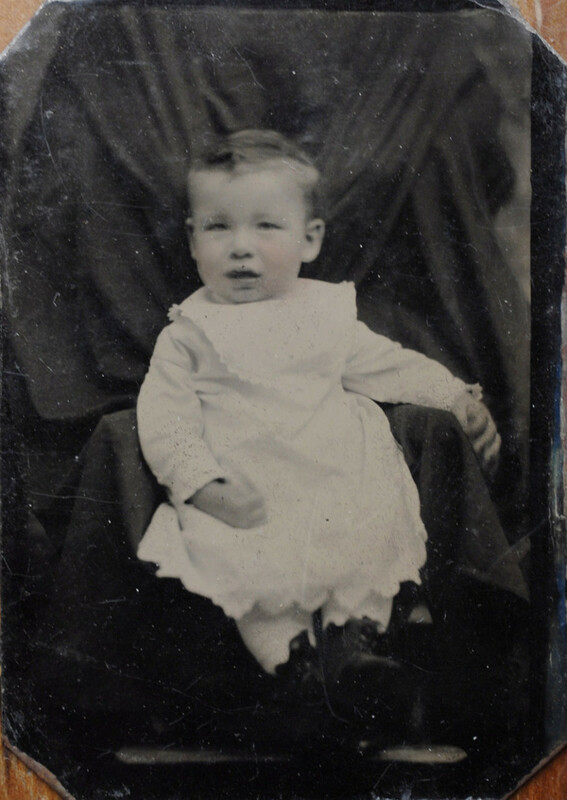 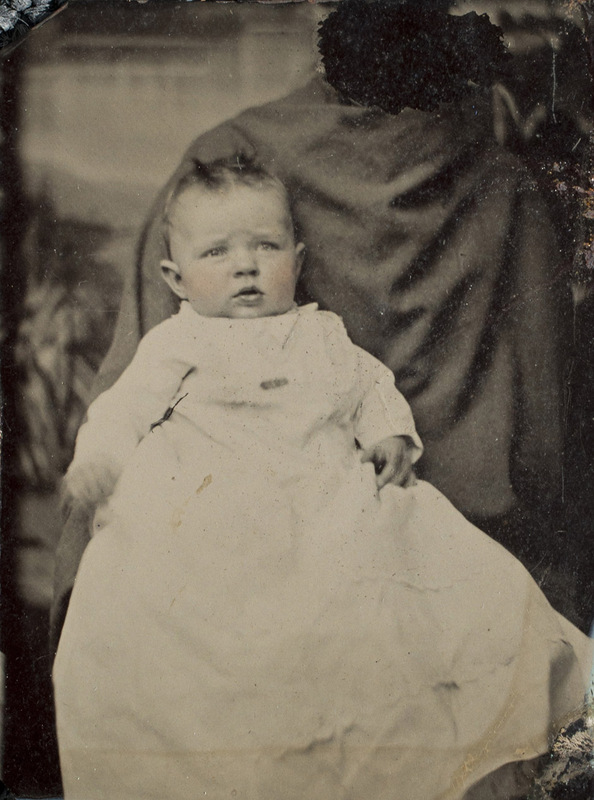 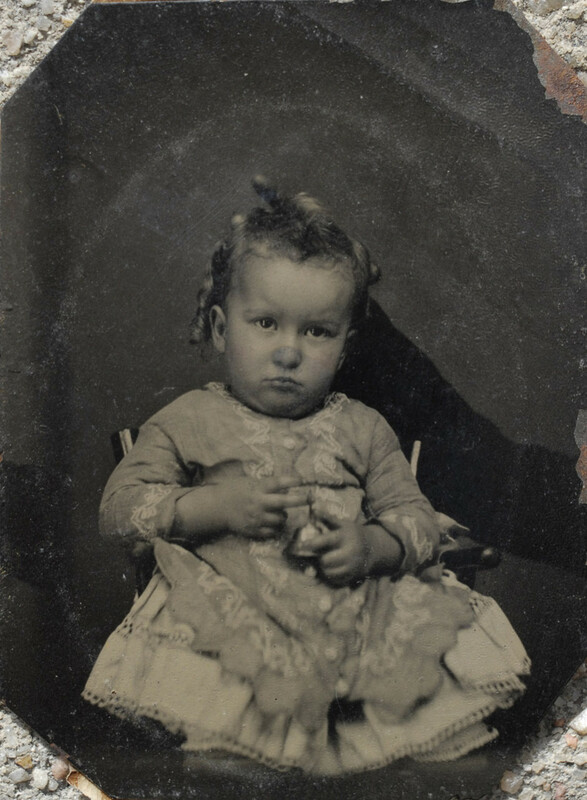 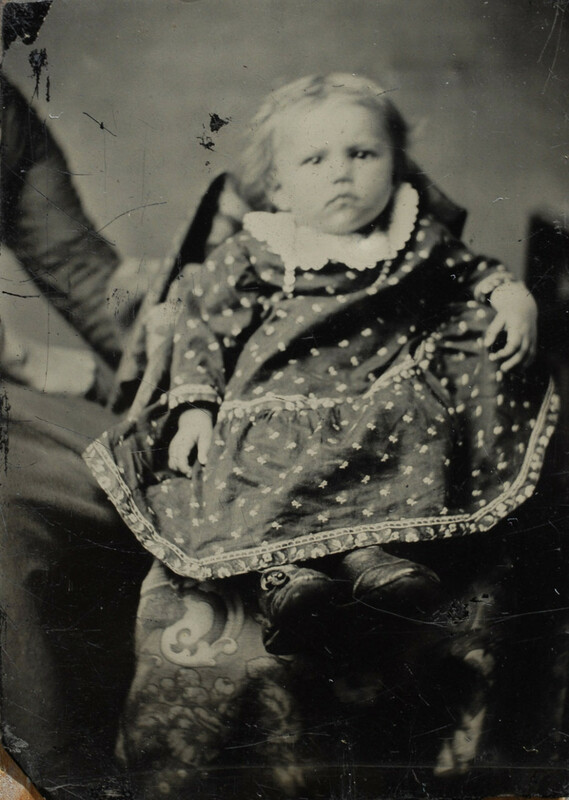 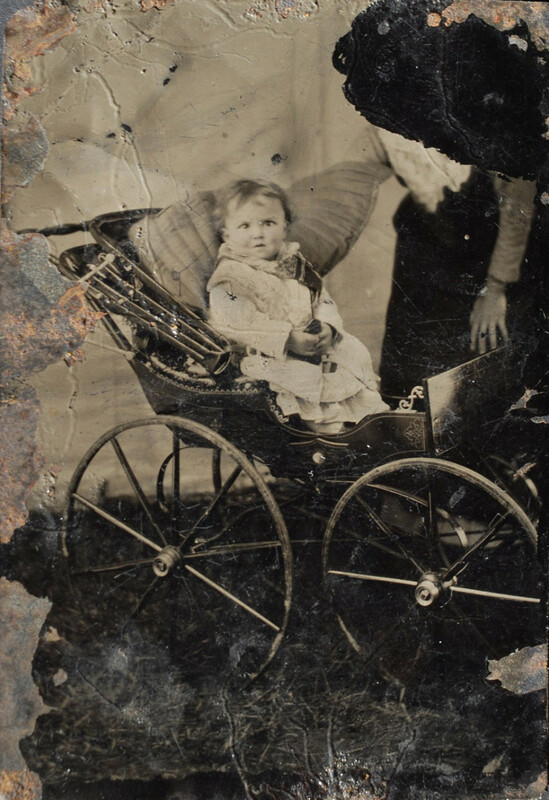 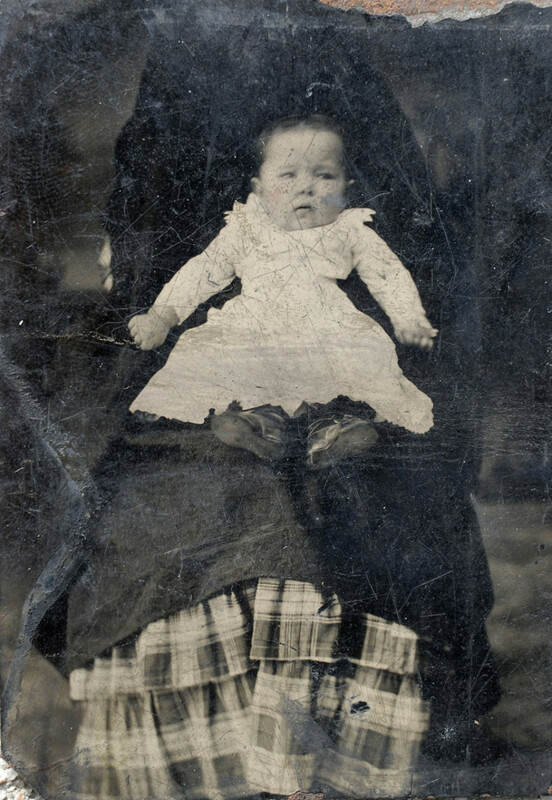 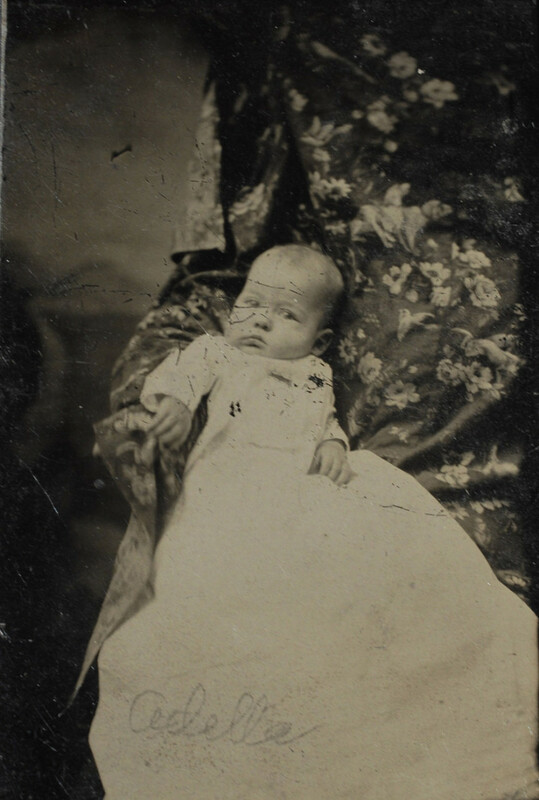 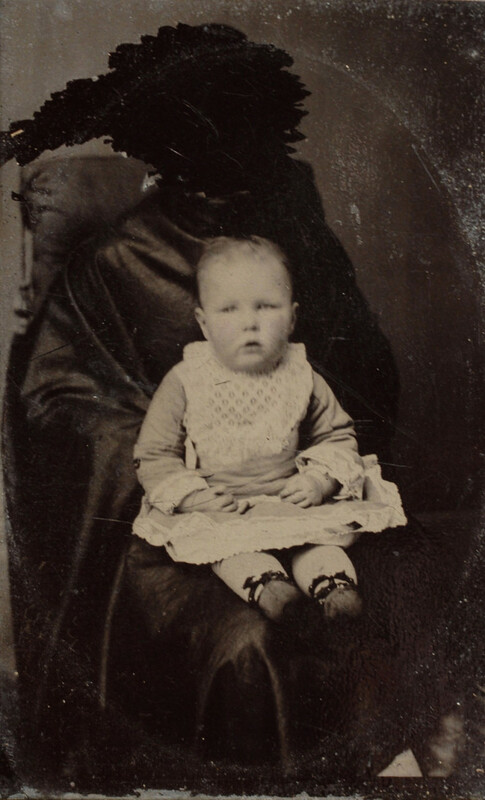 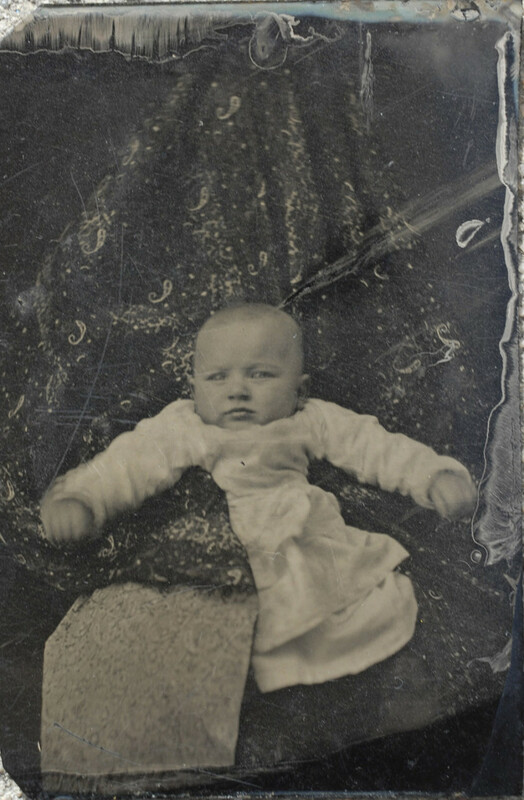 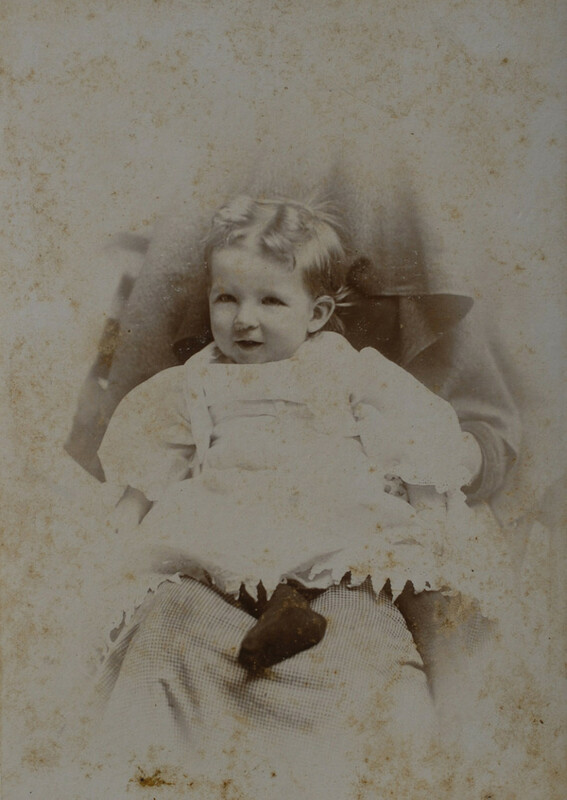 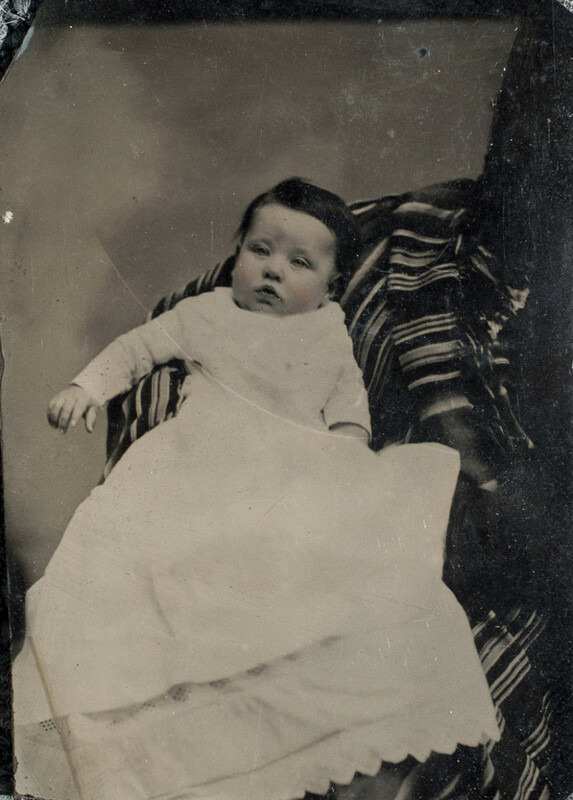 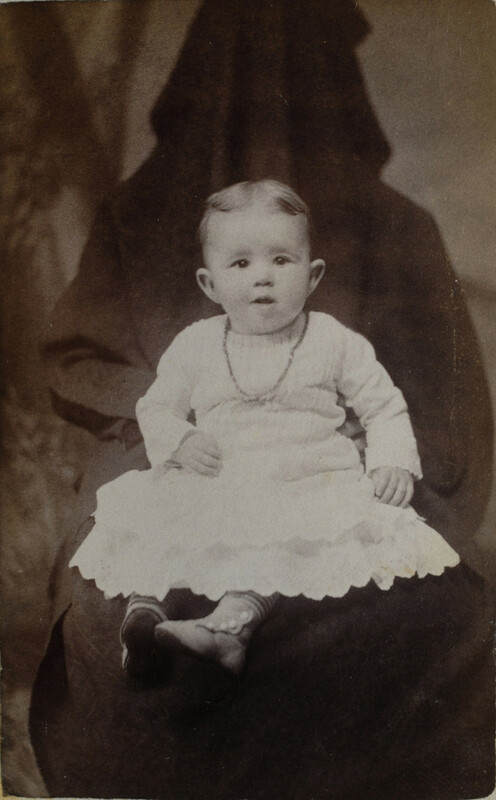 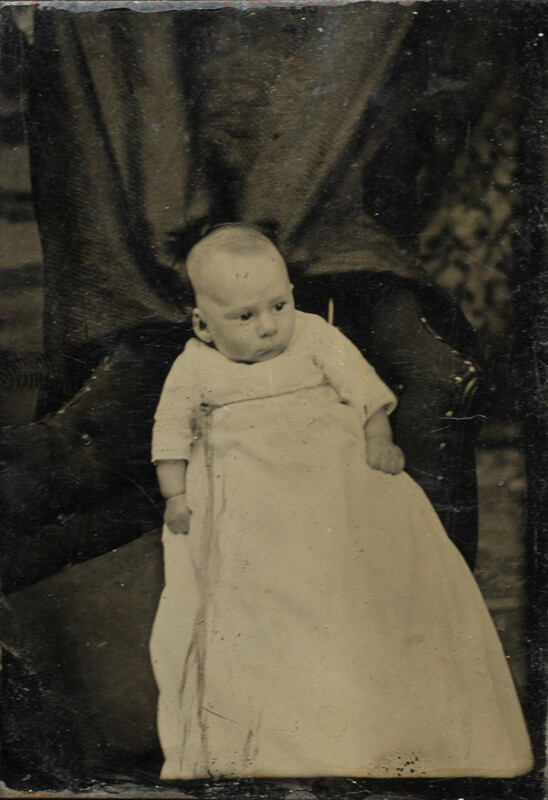 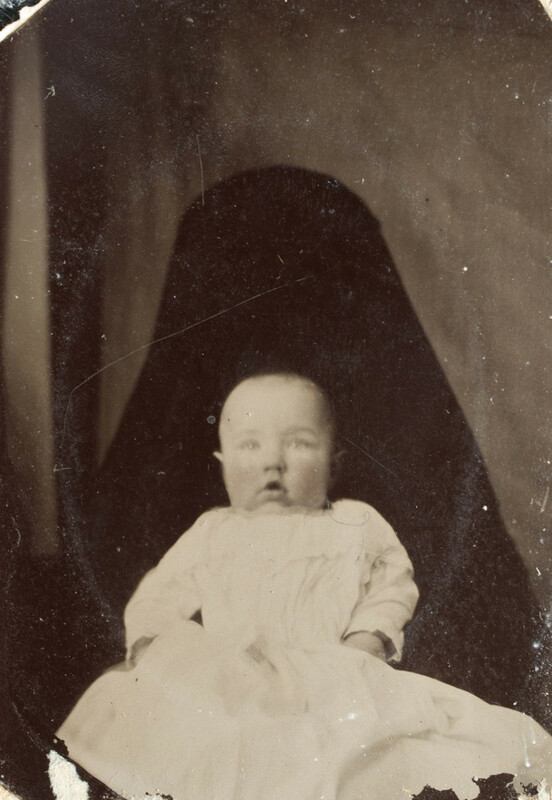 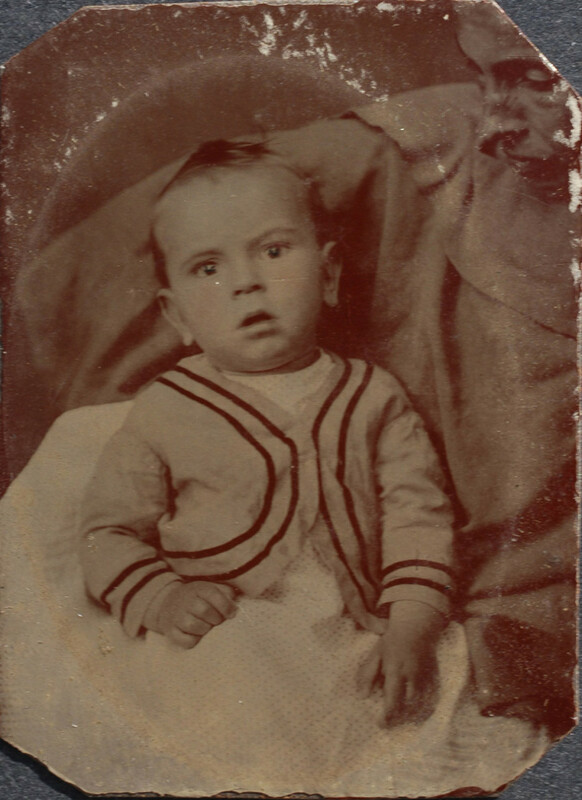 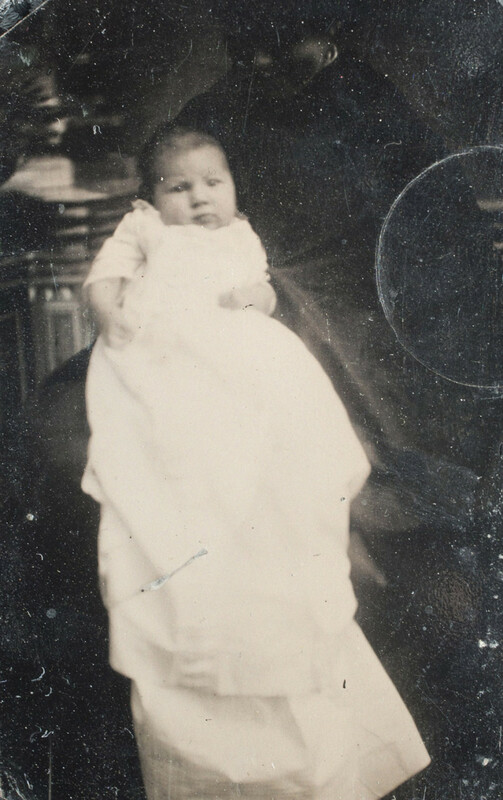 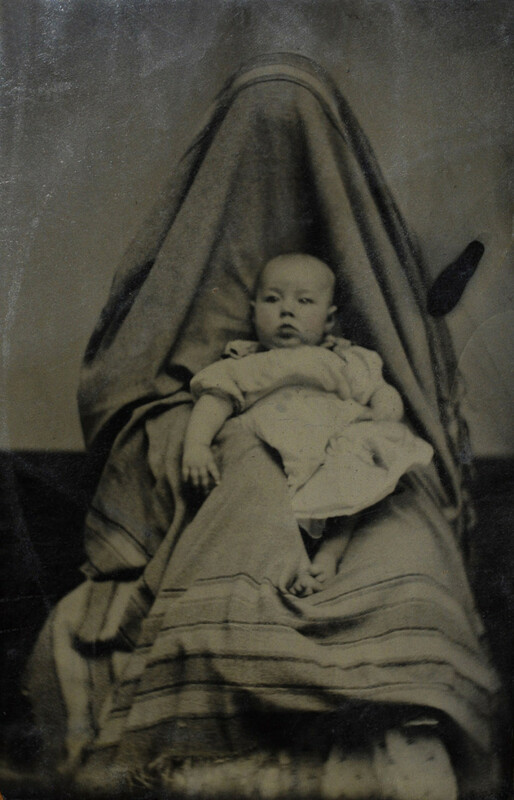 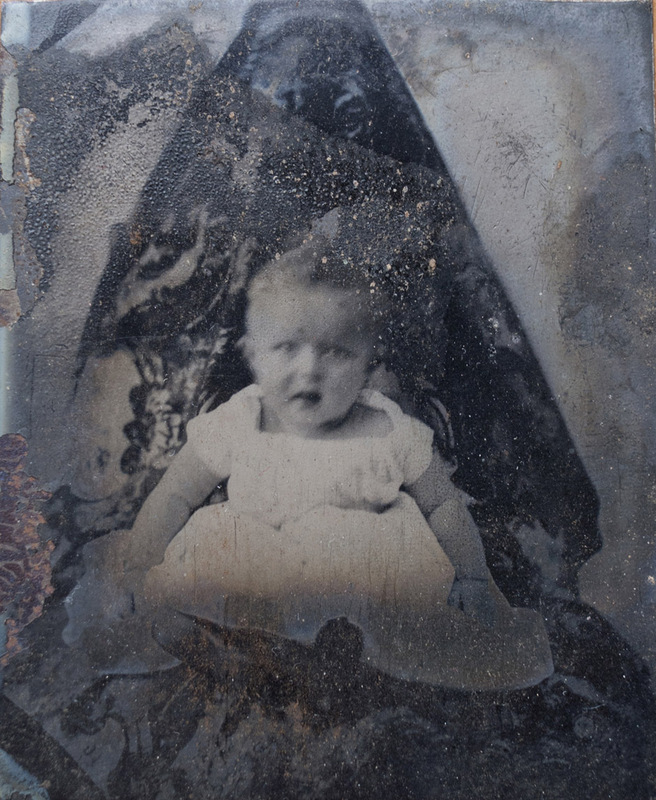 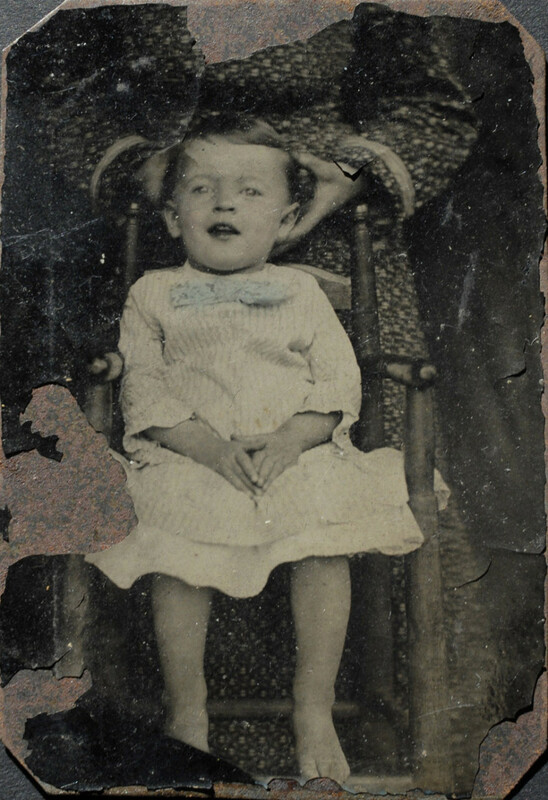 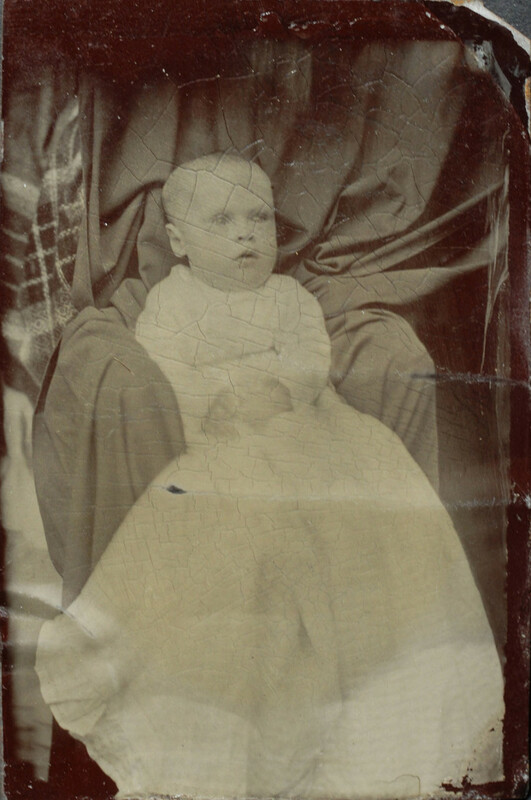 Images once thought to be photos of lone babies or young children perched atop oversized chairs with fabric billowing around them, revealed a haunting presence. 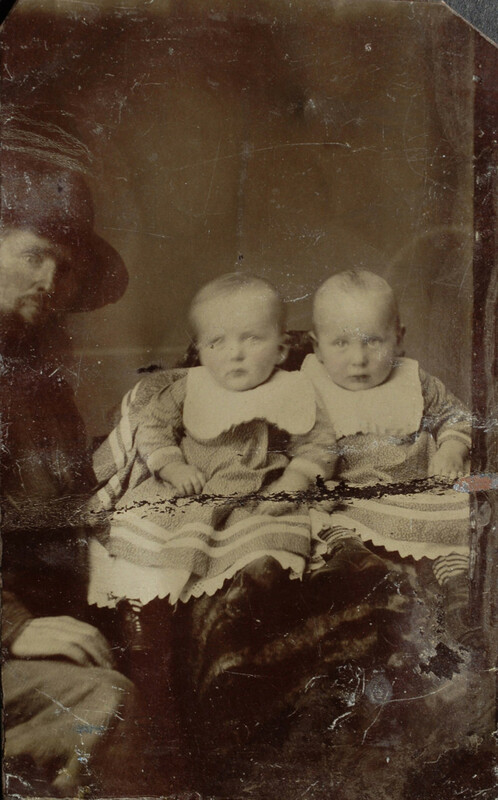 Once the frames were removed, it became apparent that the children were not alone. 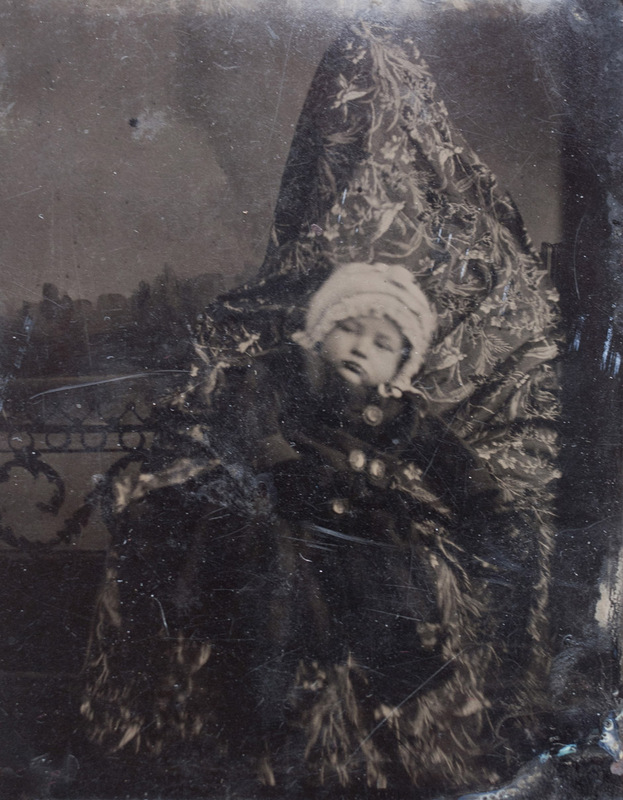 They were, in fact, being held by veiled figures, most likely, their mothers. 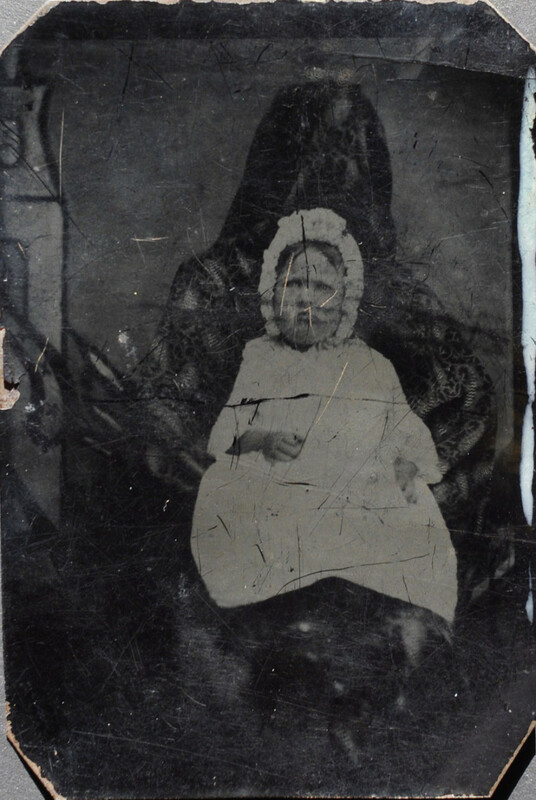 If these women were not fully covered with fabric, then often their faces were scratched out of the image, their heads cropped off by the camera or the photographer’s tin snips. 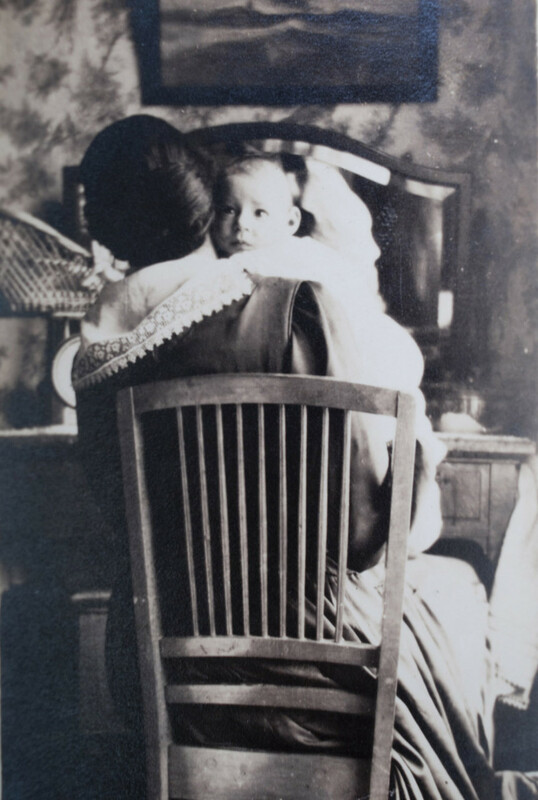 Sometimes they can be seen crouching behind chairs or are reduced to a hand reaching into the frame to calm their children. 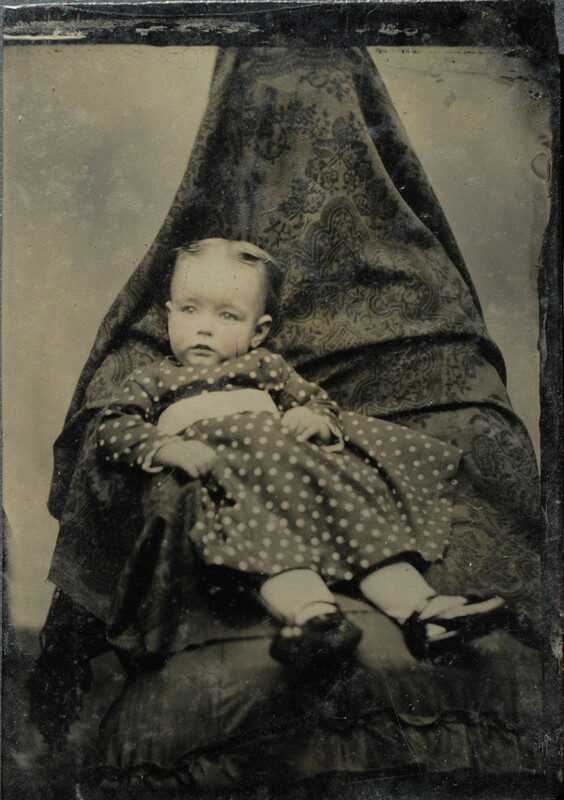 They have come to be known as Hidden Mothers.